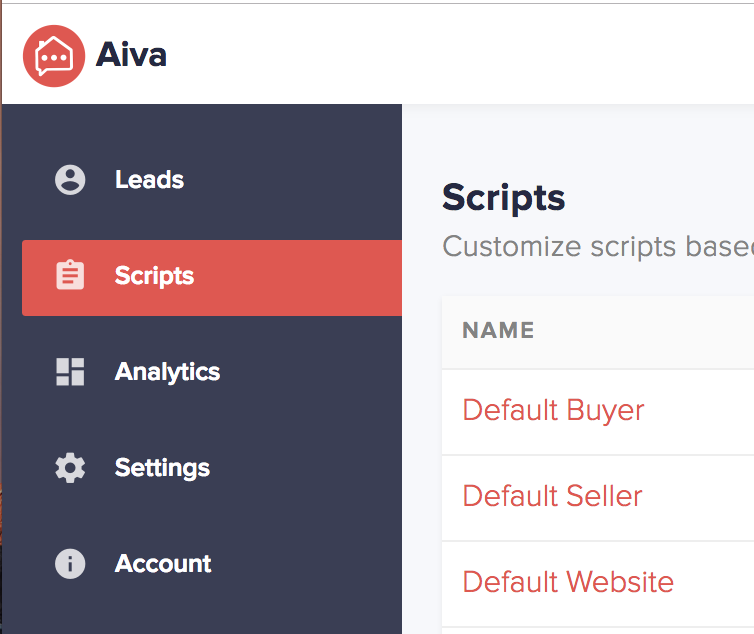 Scripts can be customized to ensure they are relevant to your leads and qualification process. You can always view your scripts under the Scripts tab within your dashboard. We cannot incorporate conditional scripting (if lead says X, then say Y). To ensure consistency, our concierges are trained to handle most situations in a professional and appropriate manner, but unfortunately we do not currently support conditional scripting. Questions have to be compliant with regulation. Since real estate is a regulated industry, questions in the script must be compliant with your local regulations. Scripting may not be exact during live conversations. While we recognize that every agent has his/her own style, we cannot guarantee the conversations will match the script exactly. In order to deliver a quality experience for leads, our concierges may adapt the script to match the conversational context. You can use the following merge tags in scripts to personalize the conversation to each lead.